Lots of cocktail bars, sports bars and other watering holes are located just off the 606. Here's where to go. 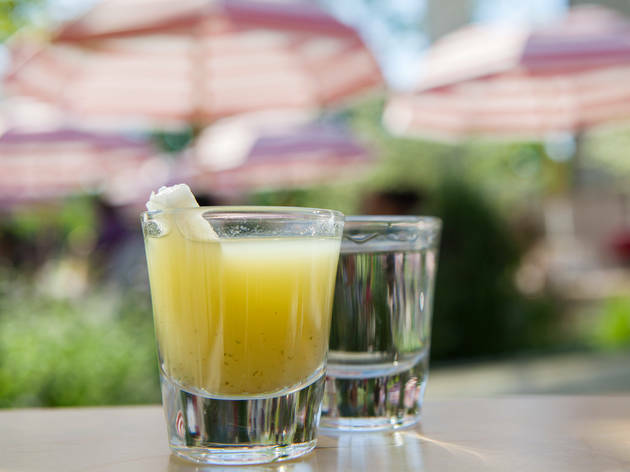 If you want to get to know the neighborhoods along the 606, there’s no better way than with a bar crawl. 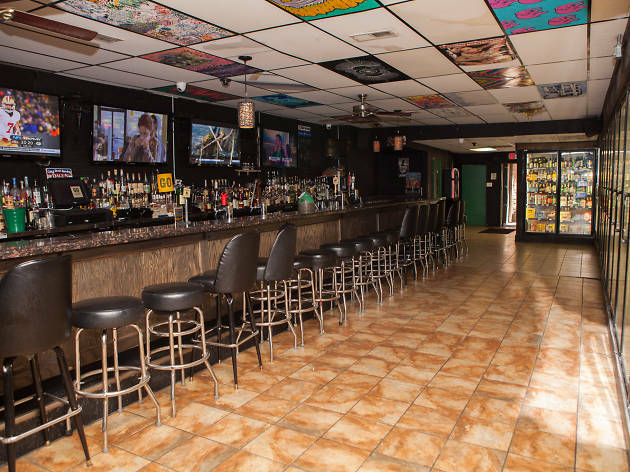 There are lots of watering holes along the route, including casual sports bars, great cocktail bars and plenty of spots to find a craft beer. 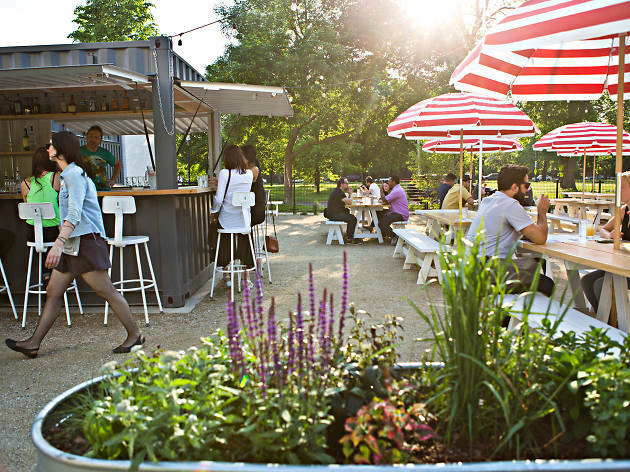 Here’s where to get a drink near Chicago’s new elevated park. Known for its wide selection of beer on tap and in bottles, the Map Room features many of the best brews from all over the world. 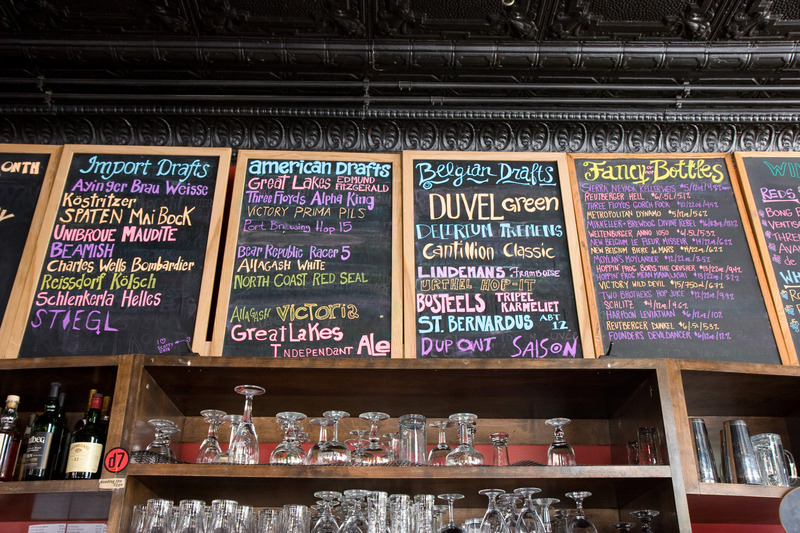 Treat yourself to one of the rare selections from the extensive menu, or try something local on tap. The relaxed atmosphere during the day is perfect for cozying up with a book or a buddy or two. If you need a pick-me-up, the bar also moonlights as a coffee shop, doling out kicks of caffeine by the cup. 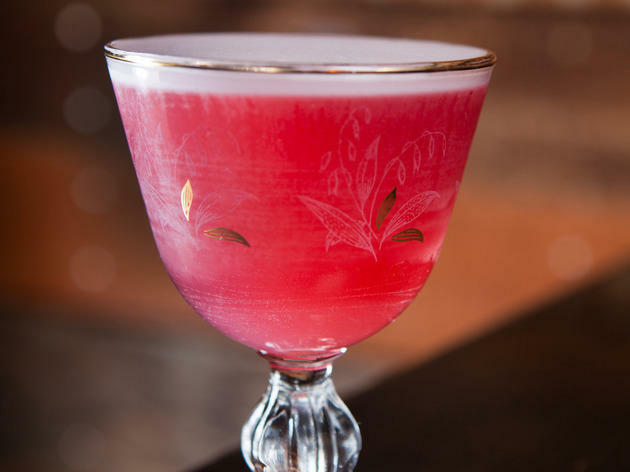 This gin-focused cocktail joint has become a bonafide neighborhood classic. 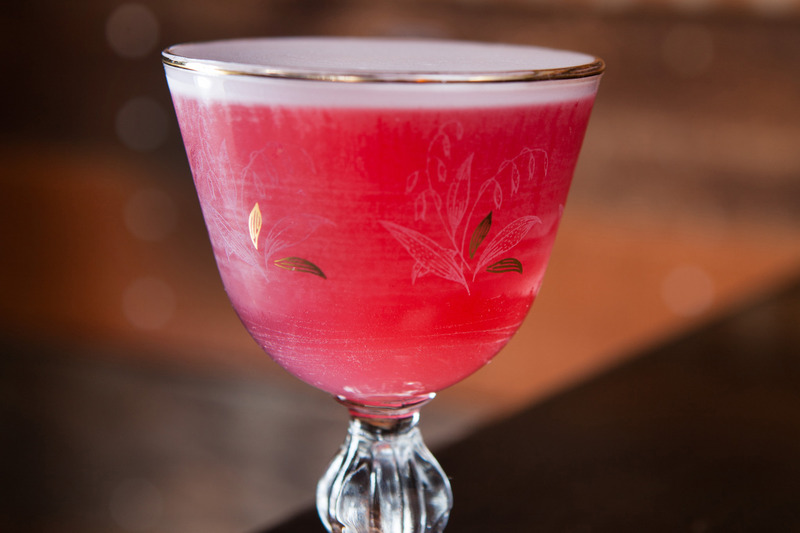 Featuring a menu of reasonably priced cocktails made with five ingredients or less, you won’t break the bank on a round of drinks. 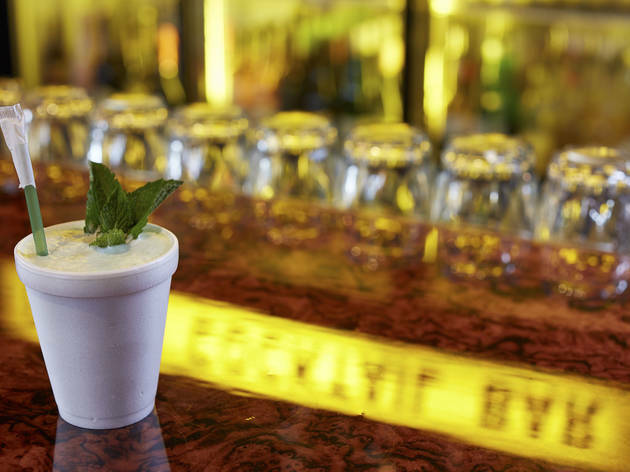 The menu, which changes seasonally, has some of the most solid bar food in the city. Plus, Scofflaw offers one of the best reasons to stay out past your bedtime—a platter of warm, gooey chocolate chip cookies are passed out every night at midnight. Tucked into Bucktown’s tree-lined residential streets, the Charleston sparkles brighter than your typical corner bar. 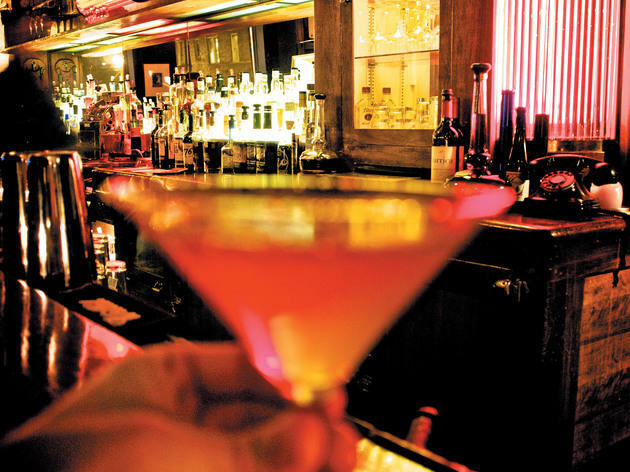 Filled with a mix of neighborhood regulars and drink-savvy hipsters, early weekday evenings are less crowded than the weekends, making it a quiet place to chat with a date. Choose a classic cocktail from the menu scrawled on the mirror behind the bar, or from the short-but-sweet selection of beers and ciders. 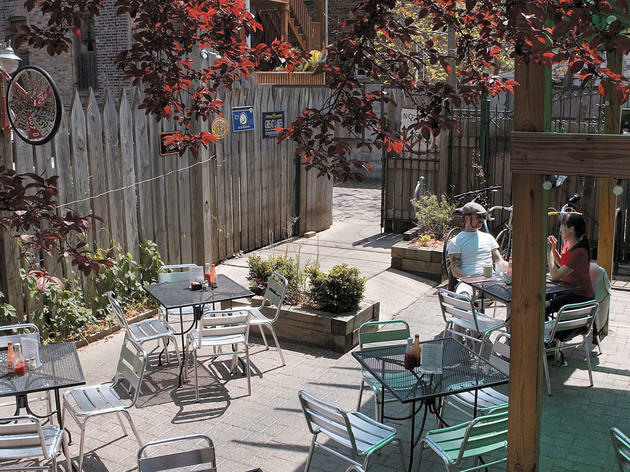 One of the city’s most popular summer spots, the patio at Parson’s is a great place for everything from ping-pong to people watching. 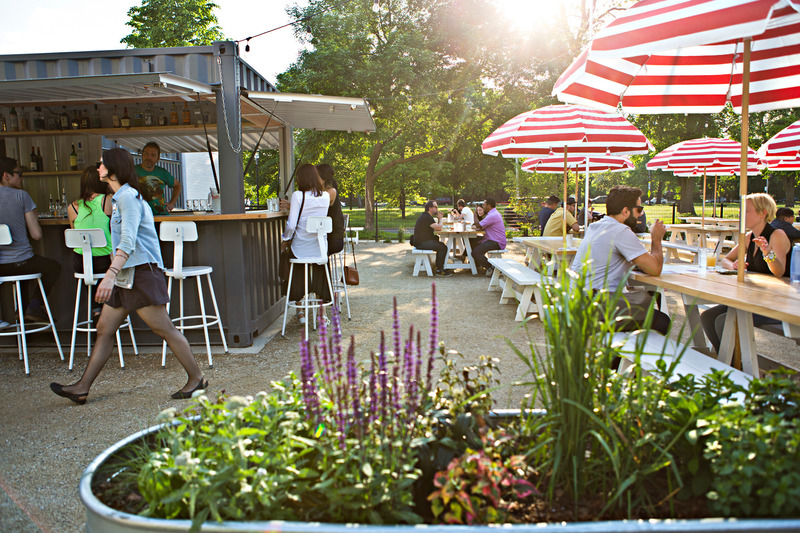 Wait times can clock in at two hours or more for food during peak times, but there’s no holdup to grab dirt-cheap cans of Old Milwaukee or a spiked radler from the bar. 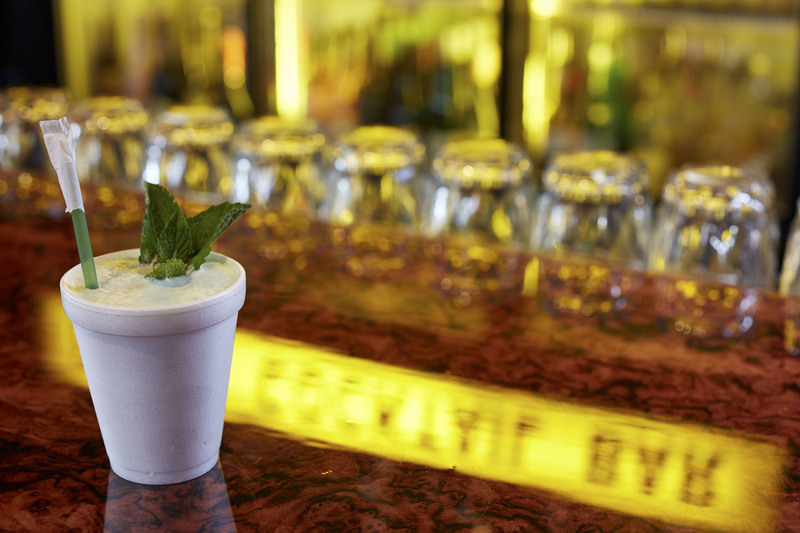 You also can’t miss slurping down one of the now-iconic icy negroni slushies, or one of the other frozen drinks that rotate on and off the menu. 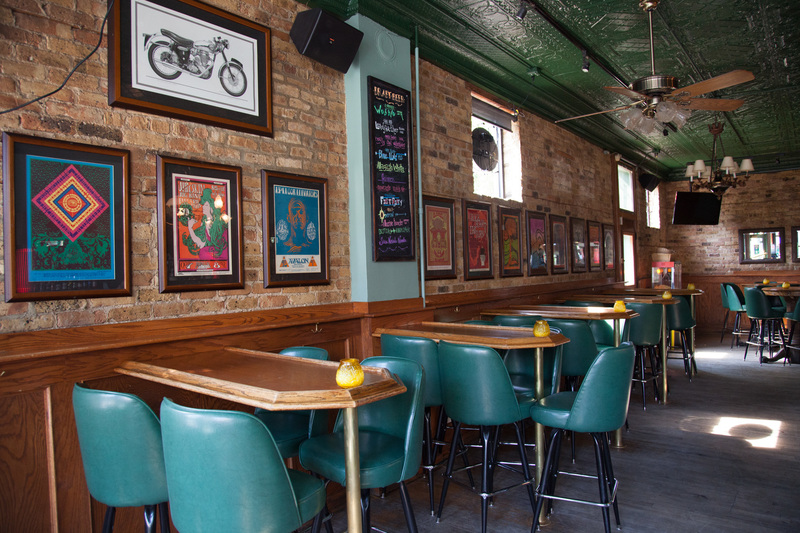 A little off the beaten path from the center of Logan Square, the 606 makes it easier than ever to make the trip West to Weegee’s. 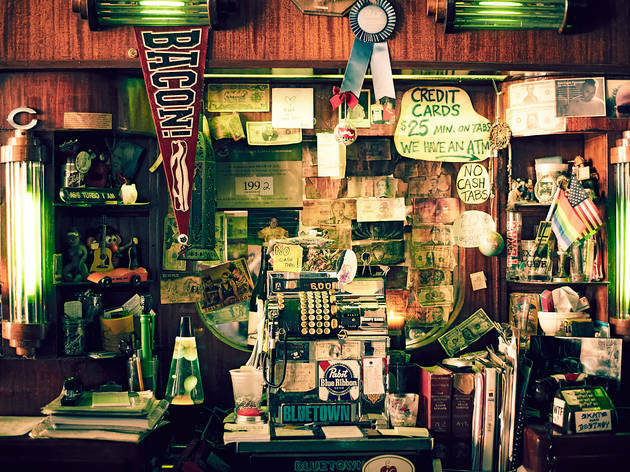 Chock-full of vintage dive bar goodness, it has all the characteristics you look for in a corner bar—an old-school photo booth, a worn shuffleboard and good, strong drinks. 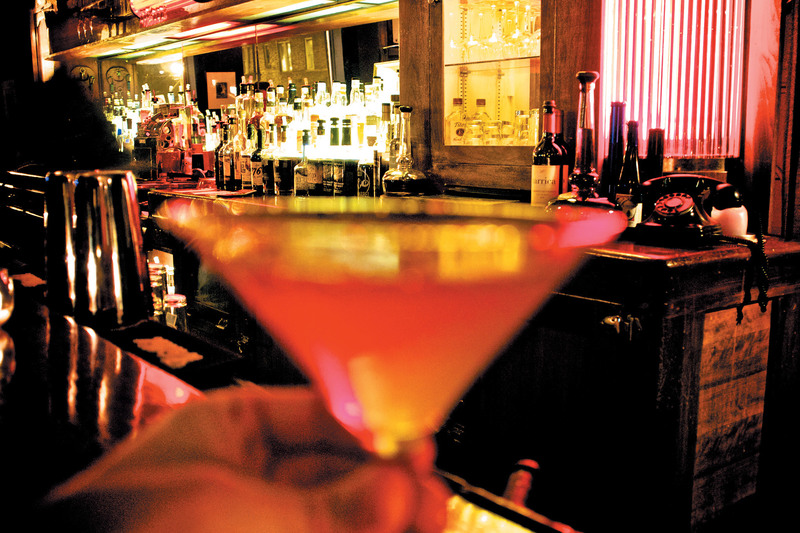 The bar features a menu of classic cocktails (think gin martinis and sidecars) all served ice-cold in martini glasses. Not feeling Subterranean’s music for the night? Can’t take the hipper-than-thou crowd at Rainbo? 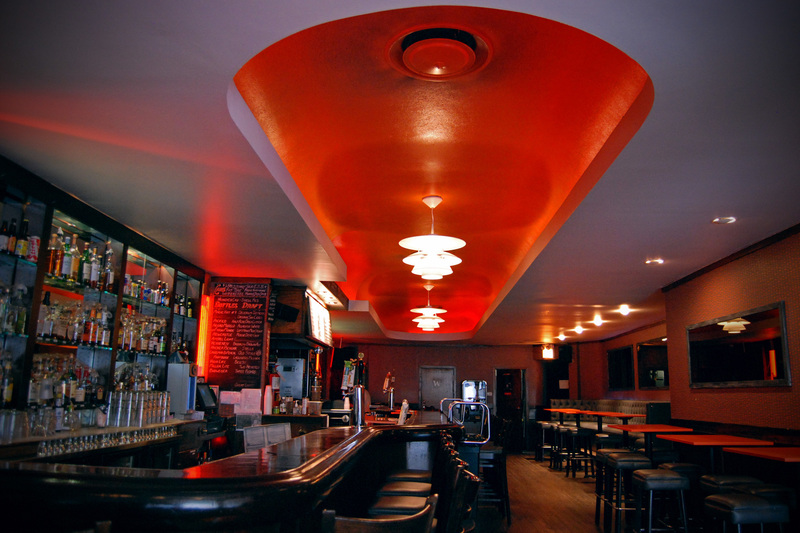 Prefer a place less clubby than Debonair? 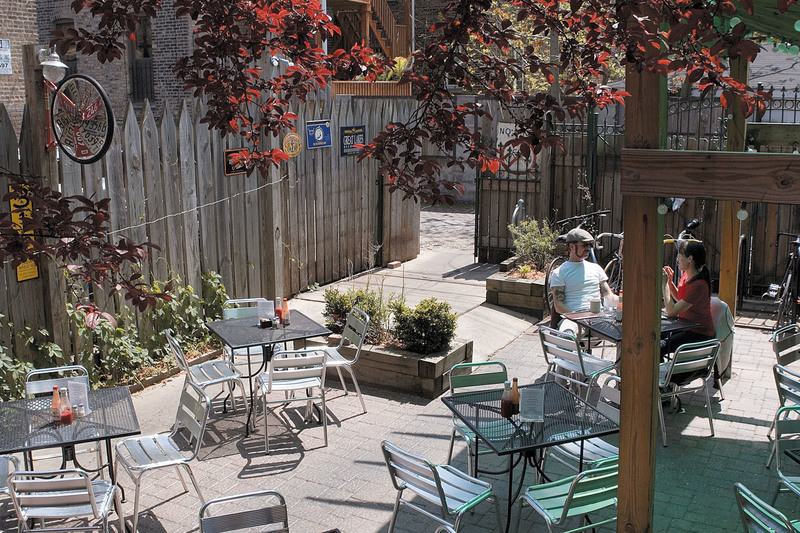 Well, then head to this low-key sanctuary in the otherwise oft-pretentious Milwaukee-North-Damen intersection. 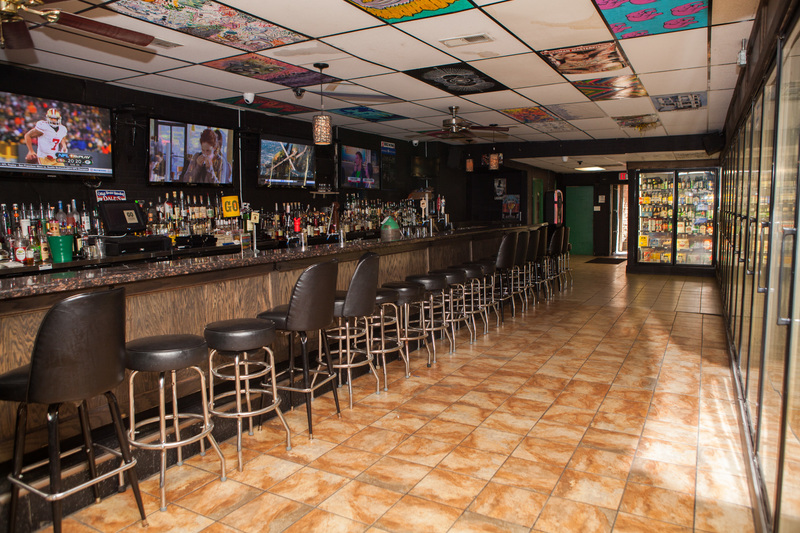 No one’s trying to out-cool anyone here (though late at night, they’re definitely trying to pick each other up), so feel free to strike up a conversation with a stranger over some tasty late-night bar eats, served until the wee hours of the morning. 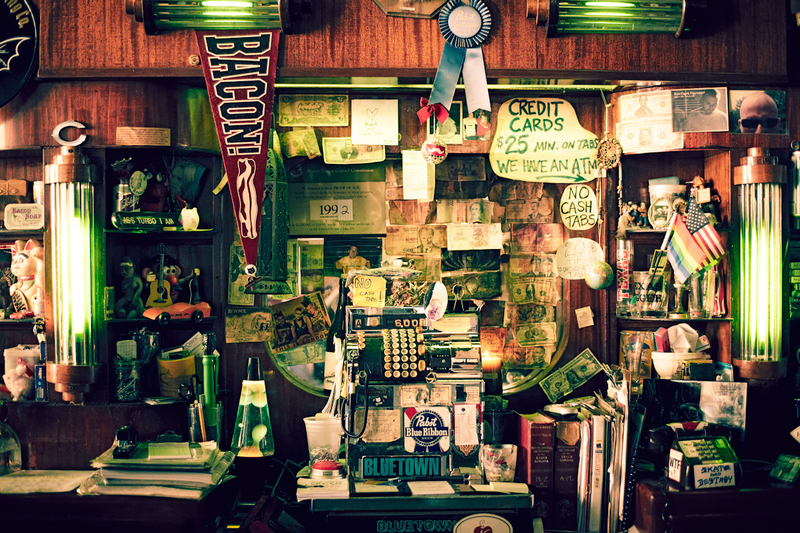 This neighborhood pub, right off the Western Blue Line stop, is the perfect mid-trail stop to grab a drink. 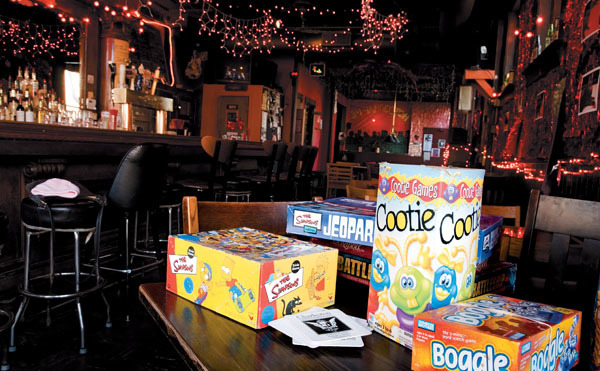 With the charming feel of a neighborhood tavern, Green Eye is cozy, no-frills and brimming with regulars. 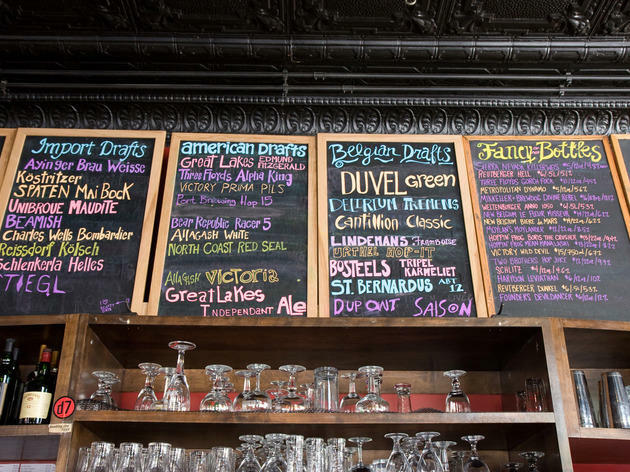 Reasonably priced mixed drinks and cans are available, but the rotating list of craft beers on tap, including many local favorites, are your best bet. 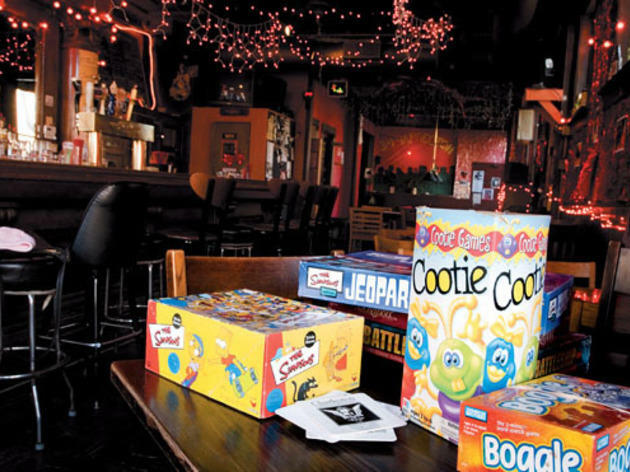 The back room has plenty of space for larger groups, or to spread out with a board game from the bar’s collection. 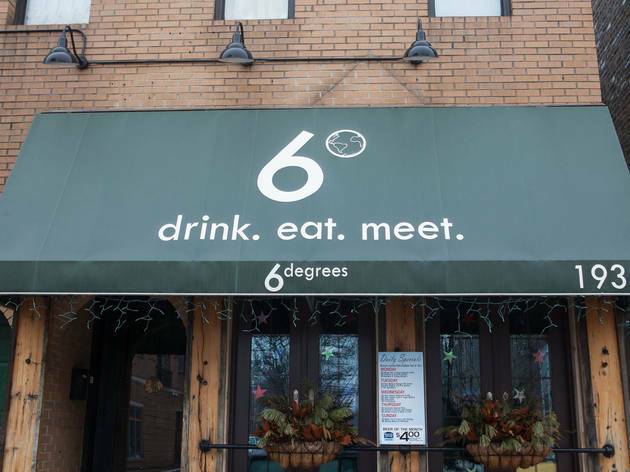 This loud, hipster hangout down the street from Wicker Park's North, Milwaukee and Damen intersection dishes up vegan and vegetarian snacks and plenty of tasty drinks. In the warmer summer months, the restaurant almost doubles in size with the addition of a huge side patio. Try the Bloody Hammer, a tricked-out Bloody Mary topped with a bevy of snacks, including everything from olives to deep-fried pickles. 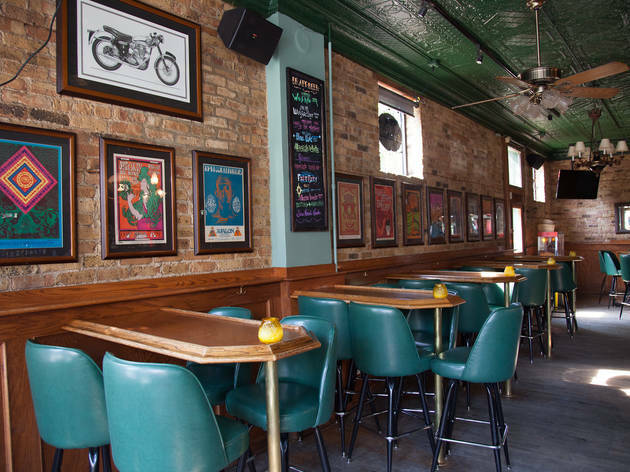 Bucktown Pub is one of those wonderful sports-bar meets neighborhood-bar hybrids, perfect for meeting friends or watching the game alongside a welcoming group of regulars. 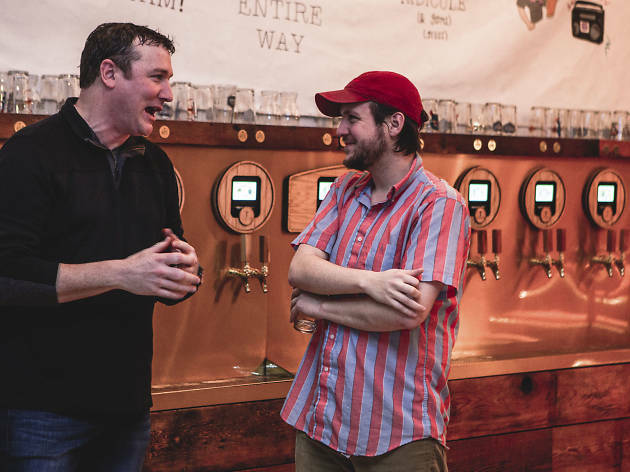 The drink list is simple, with beers from Solemn Oath and Ale Syndicate on tap for you, and standby beers like Amstel Light or Beck’s for your baby boomer dad. Another bonus is the free snacks—the bar doles out popcorn to give you something salty to munch on. 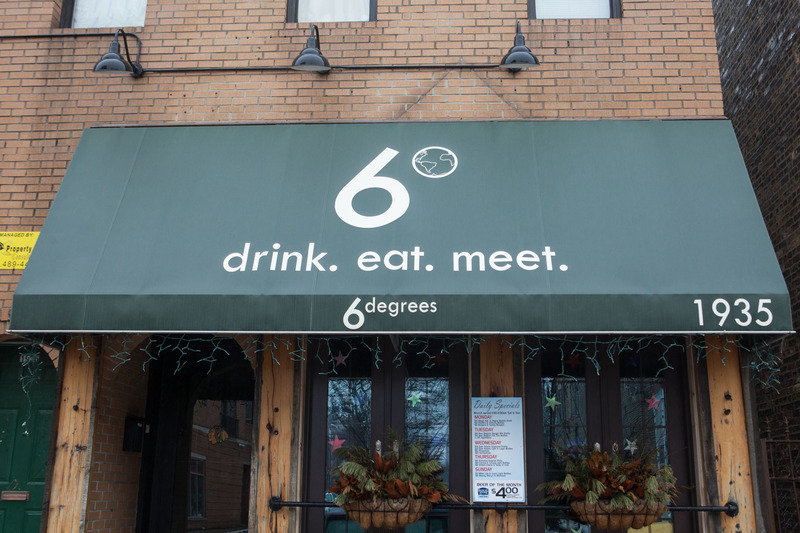 You wouldn’t expect to find this unpretentious little bar on the fashionable stretch of Damen dominated mainly by stores like Marc by Marc Jacobs and BCBG. 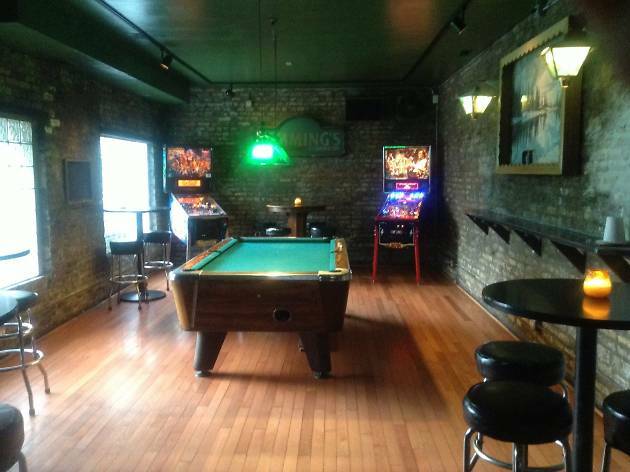 Stop in to shoot a free game or two of pool with friends in the back room, or peruse the rotating selection of local artwork displayed on the walls. A cheap and reasonable selection of beer and an unusually well-curated whiskey collection will keep you (and your wallet) happy. If ever there was a cursed space, it’s the former Darwins/Whiskey Road/Chinaskis. The latest inhabitant has done away with the gimmicks and opened the doors onto the sidewalk with a list of good beers and margaritas. If friendly servers, exposed brick and a diverse jukebox don’t cut it, the new owners offer one appeal to gluttonous patrons: the Horseshoe, an open-face sandwich laden with cheese fries. 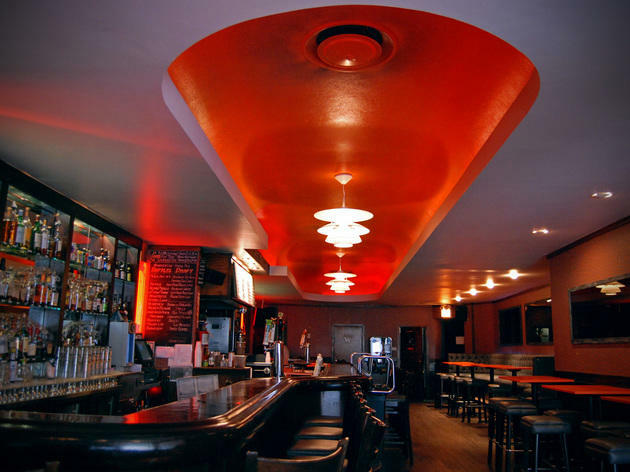 One of Chicago’s many bar/liquor store combos, Go Tavern has one of the best selections of craft beer and whiskey in the city. 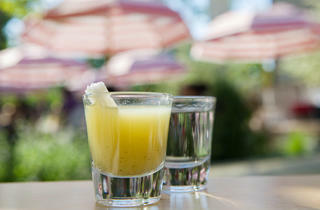 Don’t let the sparse look of the space deter you from making yourself at home at the bar, or on the back patio. 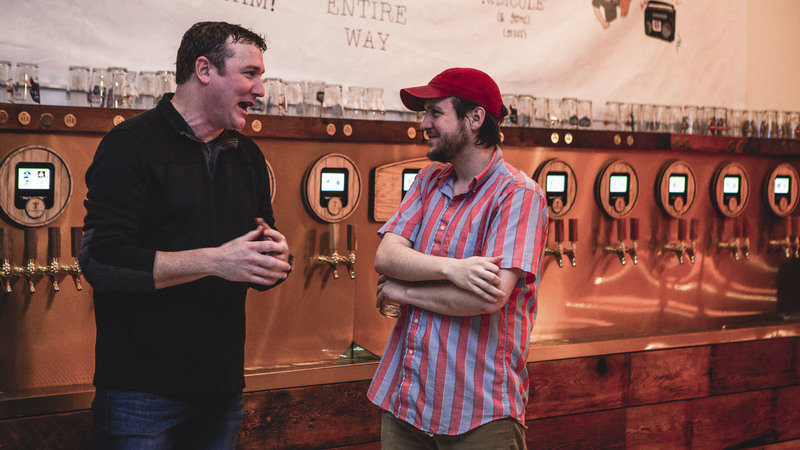 With beers from Revolution, Half Acre and Lagunitas on tap, there’s plenty of new styles to try. Plus, the impressive list of whiskey and rye options has almost two dozen choices for $4 or less. 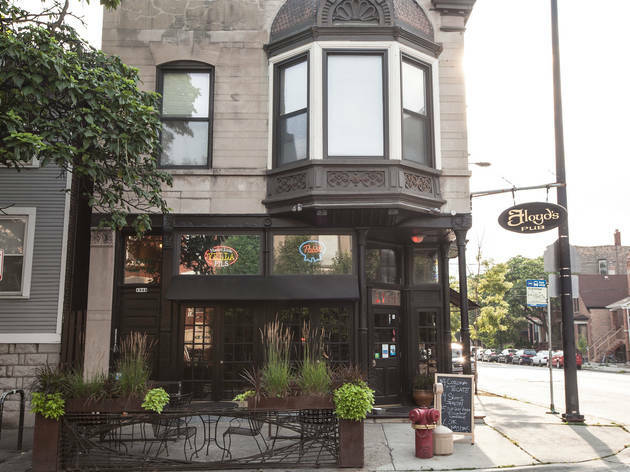 This place is more Cheers than English pub, and the bartender seems to know the name of every Bucktown local who munches pub grub to the tunes of the Flaming Lips. 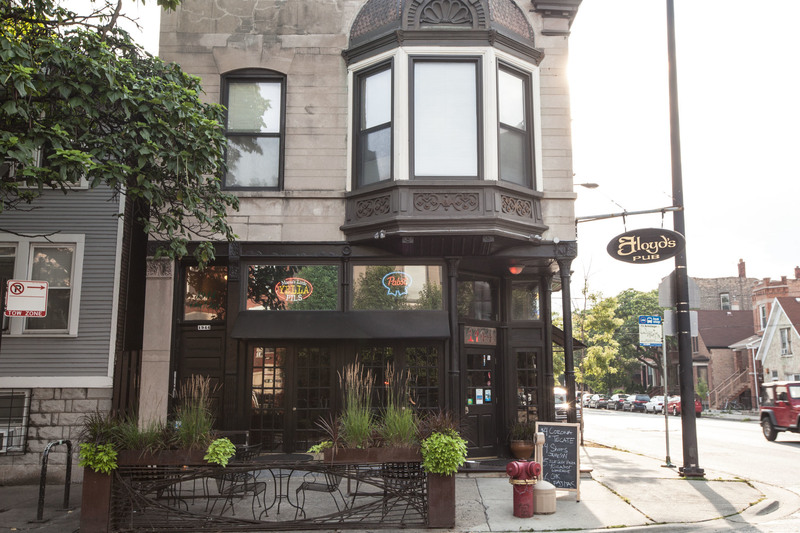 Spend a few nights here with a pint of local microbrew 312 and you’ll become as recognizable as the portraits of Elvis behind the bar.